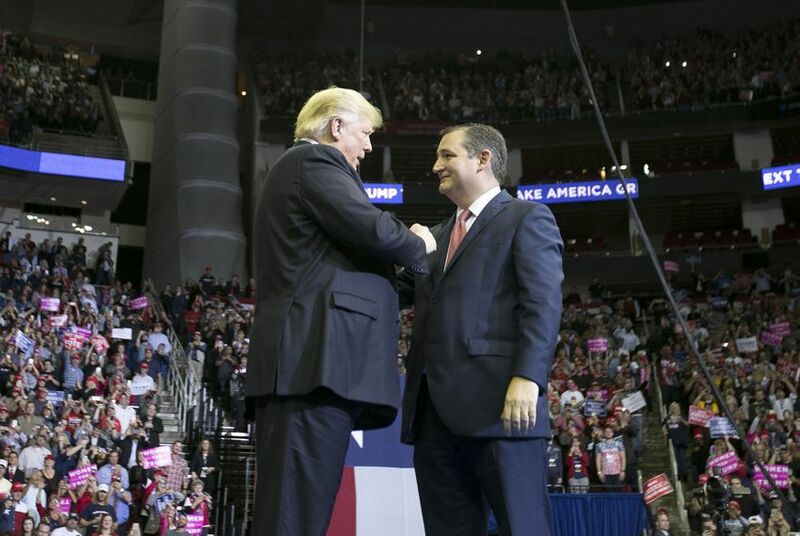 At a campaign event for U.S. Sen. Ted Cruz in Houston, President Donald Trump, his son Eric Trump and Cruz himself made claims about ISIS, the Second Amendment and tax cuts. One of the many speakers who took the stage prior to the president was his son, Eric Trump, who made the bold claim that "ISIS is gone." "It’s really amazing," Eric Trump said, echoing his father’s claims that the Trump administration defeated ISIS. "That’s what [happens] when you take the handcuffs off the military and let them do what they do best, which is kill the bad guys." Just last week, the Pentagon said the terrorist organization still "remains a deadly adversary." "Overall, ISIS is territorially defeated, and until we achieve an enduring defeat, we will continue the fight," Colonel Sean J. Ryan said, according to the U.S. Department of Defense. During his time on stage, Cruz said that O’Rourke is against the Second Amendment, and, once again, bashed the El Paso congressman for bragging about his "F" rating from the National Rifle Association. It’s true, O’Rourke received an "F" from the NRA. Cruz received an "A+." "I’ve never heard of an 'F' [rating]. An 'F' means he wants to take away your guns," he said. "If Ted doesn’t win, your guns are going to be in trouble. Real trouble." "Texas should lead the way in preserving the Second Amendment while ensuring people can live and go to school without fear of gun violence. Let’s require background checks for all gun sales and close all loopholes; give federal help to local school districts to improve campus safety; stop selling weapons of war that are designed to kill people as effectively and efficiently as possible; and fully support federal research on gun violence so that we can better understand and address its root causes." Trump says Texans got in boats to watch Hurricane Harvey. Local officials have said they didn't see such a thing. Cruz tonight slammed O’Rourke for being "open" to the idea of abolishing Immigration and Customs Enforcement. The issue has already been a point of contention between the two men. When asked in June whether he supported abolishing ICE, O’Rourke said "no" — adding that he didn’t know enough about how immigration law would be enforced without the agency. He also discussed the need to eliminate fear in immigrant communities under Trump and to find a better way to enforce immigration laws. "If that involves doing away with this agency, giving that responsibility to somebody else, changing how this agency performs, I’m open to doing that," O’Rourke said at the time.